WASHINGTON — Hawai’i is getting $15,068,200 in federal stimulus money for energy efficiency and conservation projects, the Obama administration announced yesterday. The projects are intended to reduce total energy use and fossil fuel emissions. Activities the money can support include energy audits and making residential and commercial buildings more energy efficient, improving building codes and inspections, creating financial incentive programs for energy-efficiency improvements. The federal money can also go for transportation programs that conserve energy, projects that reduce or capture greenhouse gas emissions from landfills, and making traffic signals and street lights more energy efficient. The office of U.S. Rep. Neil Abercrombie said the money will be used to make residential and commercial buildings more energy efficient and can also go to transportation programs that conserve energy and to capture greenhouse gas emissions from landfills. Abercrombie said the state has to date received just over $45 million in energy money from the stimulus package, including $26 million for a state energy program and $4 million for home weatherization assistance programs. “With proper follow-through, these important steps can ultimately lead the way to energy independence for Hawai’i,” Abercrombie said. A joint statement by U.S. Sens. Daniel Inouye and Daniel Akaka said the stimulus money will help create jobs throughout the Islands. Funding is based on a formula that accounts for population and energy use. States will administer funds for counties and cities not large enough to qualify directly for the grants. States and local governments will also be able to compete for additional dollars. The state and local governments getting the money must report on the number of jobs they create through the program, energy saved, greenhouse gas emissions reduced and other measurements. The Department of Energy (DOE) this week made the first alternative-energy loan guarantee, announcing that Solyndra Inc., a solar energy company based in Fremont, Calif., will receive $535 million. 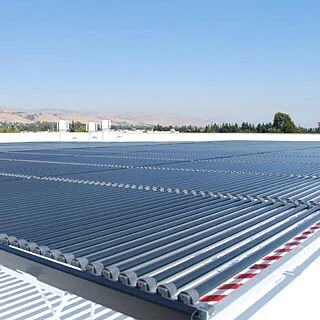 The company – profiled recently by ScientificAmerican.com – plans to use the money to ramp up production of its cylindrical, thin-film solar panels that lie flat on rooftops. The cash won’t flow until the loan receives some final legal and financial green lights, according to a DOE press release. The DOE is reviewing dozens of other projects, from nuclear to carbon capture and sequestration, and will likely be issuing more loan guarantees in the coming weeks, the New York Times reports. Photo: Solyndra’s cylindrical solar cells on a rooftop in California. Image Credit: Solyndra Inc.
Smokestacks – the bane of climate change activists – belch planet-warming carbon dioxide (CO2) while the coal and natural gas plants they rise from provide the cheap electricity that modern society relies on. But what about smokestacks out at sea? Ships more typically enter pollution discussions on account of oil spills, such as the infamous Exxon Valdez wreck that took place 20 years ago tomorrow. But as concern over the threat of global warming grows, attention is turning to the ocean bound fleet of smokestacks that ferries about 90 percent of global trade and coughs out 4 percent of worldwide fossil fuel greenhouse gas emissions, Reuters reports. Enter Ecospec, a Singapore-based firm that has recently unveiled a patented technique, called CSNOx that removes three-quarters of the carbon dioxide, the most common greenhouse gas, from ships’ tailpipes. 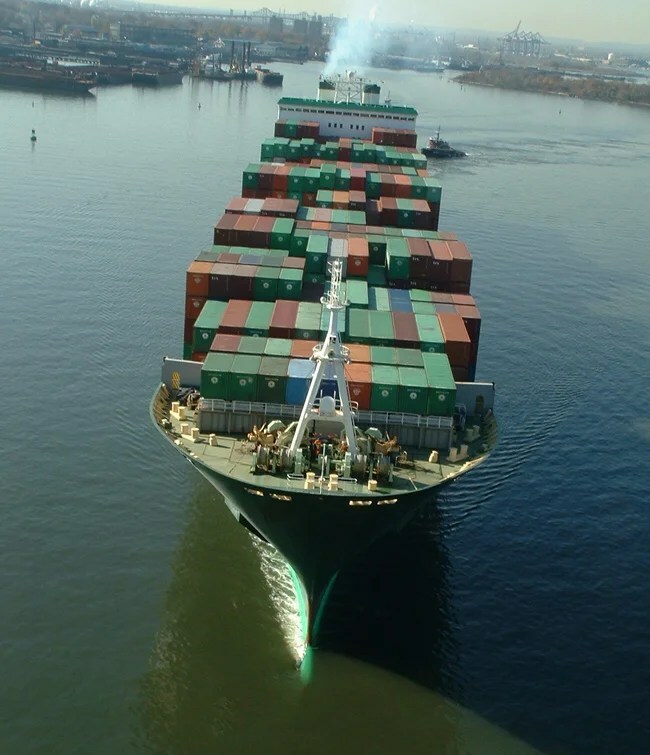 Ships’ fossil fuel consumption also unleashes sulfur dioxide (SO2), a prime ingredient in acid rain, and nitrogen oxides, which can form toxic compounds as well. CSNOx reportedly also removes 90 and 80 percent of these other unwanted emissions, respectively. How does it work? According to Ecospec, its smoke-cleaning system slurps seawater onto the ship where it undergoes electrolysis, raising the water’s pH from a typical 8.1 to 10. (pH is the measure of acidity or alkalinity of a solution; the lower the pH, the more acidic the liquid.) Fumes from fuel combustion pass through this alkaline seawater in exhaust tunnels, where the gases and the liquid react, forming new compounds that do not escape with the emissions. The filtering water is then processed in an onboard tank before being released back into the ocean. The company claims this released water contains no secondary pollutants. As a bonus, the returned seawater remains more alkaline than normal – perhaps not a bad thing as the oceans absorb massive amounts of man-made carbon dioxide that in turn are making them perilously acidic for shellfish and other marine creatures. Retrofitting ships with the CSNOx system is expected to cost between $500,000 and a million per vessel, according to Reuters. Interested firms have reportedly deluged Ecospec with inquiries since it was unveiled. What works well at stemming sea emissions could also, of course, work well on land, where 90 percent of anthropogenic greenhouse gases are generated, Reuters reports. Potential beneficiaries of Ecospec’s technology include coal- and gas-fired power stations, garbage incinerators, and steel and paper mills. Three people in Hawaii have come down with what appears to be a rare parasitic disease called rat lungworm disease in recent weeks. 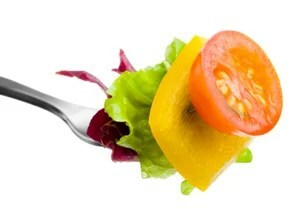 Two of the victims (friends who had a meal together) told the Honolulu Star Bulletin that they experienced “agonizing pain” after eating raw vegetables – and physicians fear they may have accidentally swallowed slug larvae hidden inside folds of raw peppers. Physicians at Hilo Medical Center on the Big Island of Hawaii reportedly discharged the patients several times before finally admitting them in mid-December, because they could not find anything wrong with them; one of the pals is now in a coma, the newspaper reports. “Many different species of slugs and snails are known to be carriers of this particular nematode [rat lungworm parasite],” Robert Hollingsworth, an entomologist at the U.S. Pacific Basin Agricultural Research Center in Hilo told ScientificAmerican.com. When people ingest the worm, it travels from the gastrointestinal tract to the central nervous system. Most people experience no symptoms or only mild ones such as muscle aches and sensitivity to light and recover without treatment, in most cases without ever suspecting a parasite (which typically dies off in a few weeks). In rare instances, the worm causes potentially deadly meningitis, an infection of the fluid that bathes the spinal cord and brain. Symptoms include severe headache, stiff neck, tingling or painful feelings in the skin, low-grade fever, nausea, and vomiting, according to the Centers for Disease Control and Prevention (CDC). “There have been documented deaths but they are very rare,” says Sarah Park, the state epidemiologist for Hawaii. The severity of the illness seems to depend on how many worms are ingested, how strong a person’s immune system happens to be, and how long the worm stays in the central nervous system, she notes, adding that it in some cases worms have survived for up to several months. “We don’t know about all the cases out there,” because there is no diagnostic test for the disease, Park told ScientificAmerican.com, saying that diagnoses are made based on clinical observations, suspicion of exposure to the parasite, and the presence of elevated levels of eosinophils, white blood cells in the cerebrospinal fluid that might indicate a parasitic infection. A 2007 study published in the journal Pacific Science suggests that the prevalence of rat lungworm disease may be on the rise. According to the paper (co-authored by Hollingsworth), an invasive slug species from Southeast Asia, Parmarion martensi, arrived in Hawaii in 2004 and began out-competing the Cuban slug, Veronicella cubensis, one of the most common large slug species in Hawaii. Researchers found that 77.5 percent of the invasive species were carrying the rat lungworm parasite compared to 24.3 percent of the Cuban slugs. “The transmission potential of this species may be higher than that of other slugs and snails in Hawaii,” the researchers wrote. The best way to avoid rat lungworm disease? Don’t eat raw snails or slugs and wash your vegetables and fruit very well, Park advises, noting that they are small [as short as 2 mm in length] and can easily escape notice if hiding in creases of produce. Article from Scientific American Blog. Sec. 402. Renewable Energy Zones: This bill directs the President to designate renewable energy zones, which are areas that can generate in excess of 1 gigawatt of electricity from renewable energy, include rural areas or Federal land, and have insufficient transmission capacity to achieve their renewable energy generation potential. This bill excludes environmentally sensitive and culturally significant areas from renewable energy zones. Electricity from renewable energy is defined to include solar, wind, geothermal, biomass, biogas, incremental hydroelectric capacity and hydrokinetic resources. Some areas, especially the Western U.S., already have processes in place to identify renewable energy zones. Recognizing the ongoing efforts in the Western U.S., this bill allows the President to use zones designated through existing processes, and sets deadlines on designating renewable energy zones for the Western Interconnection of 90 days after enactment of the bill and 270 days after enactment of the bill for the Eastern Interconnection. Sec. 403. Interconnection-Wide Green Transmission Grid Planning: Transmission planning today is a geographically fragmented, lengthy process that does not address the types of projects needed to integrate renewable energy into the transmission grid. The U.S. electric transmission network is divided into three interconnections, the West, the East, and Texas. This bill requires participatory and transparent transmission planning on an interconnection-wide basis for green transmission projects to integrate renewable electricity resources from renewable energy zones into the transmission grid. The objective of the planning process is to enhance transmission access for electricity from renewable energy in renewable energy zones, while recognizing national economic, reliability, and security goals. The planning process established in this bill must be based on established and projected Federal and State renewable energy policies and targets. This bill requires the planning process to solicit input from all stakeholders, including transmission owners, regional transmission organizations, independent system operators, State commissions, electricity generators, prospective developers of new transmission and generation resources, regional reliability organizations, and environmental protection and land, water, and wildlife conservation groups. This bill requires the plan to consider alternatives to new transmission, including energy efficiency, demand response, distributed generation, and cost-effective energy storage. To expedite building transmission to meet the President’s renewable energy goal, this bill requires the interconnection-wide green transmission plans to be submitted to the Commission within 1 year of the deadline for designation of renewable energy zones. If a regional planning entity does not organize a planning process, or does not complete a plan by the deadlines established by FERC, this bill gives FERC backstop planning authority to establish a planning process and conduct planning, in consultation with DOE, federal power marketing authorities, the electric reliability organization and regional reliability organizations. This bill also gives FERC backstop planning authority for any state that does not participate in an interconnection-wide planning process. To cover costs of regional planning entities and states participating in interconnection-wide planning, this bill establishes a surcharge on all transmission customers. The funds from the surcharge will be distributed to regional planning entities and to states whose governors certify that they are participating in green transmission planning for the first year, and subject to timely submission of a green transmission grid plan in subsequent years. State Governors are also required to demonstrate that planning entities are able to effectively represent a wide spectrum of stakeholders, including the protection and conservation of land, consumer protection, and fish and wildlife protection. Sec. 404. Federal Siting of Green Transmission Grid Project Facilities: Transmission line siting is currently conducted through a separate process in each state, which can cause lengthy delays for multi-state transmission lines. This bill allows transmission project developers to apply to FERC for federal backstop siting for green transmission projects that are part of the green transmission grid plan and integrate renewable energy resources from renewable energy zones, or for transmission projects that FERC determines are needed to integrate renewable generation resources. For states that participate in interconnection-wide planning, this bill requires FERC to consider state recommendations in siting the line, and to work with states to resolve differences. This bill gives FERC the authority to issue a construction permit, including the right of eminent domain, for green transmission projects that meet specific conditions, including a minimum renewable requirement, optimizing transmission capacity, and providing transmission access to states the project passes through. To coordinate the process of siting transmission on Federal lands, this bill sets FERC as the lead agency for environmental reviews, with a single environmental review document, and directs affected agencies to develop a memorandum of understanding, including a schedule for environmental review and a budget necessary to carry out the schedule. This bill ensures that green transmission projects are truly green by requiring transmission line siting to consider and use alternative routes where possible to avoid environmentally sensitive or culturally significant areas. In addition, this bill requires transmission projects that use federal siting authority to ensure that at least 75% of the capacity of transmission project is available to renewable generation, or the maximum possible amount of renewable generation that can be reliably interconnected. In addition, to ensure that renewable generation resources have access to transmission, transmission providers for green transmission projects that use federal siting must give priority to load-serving entities contracting with renewable generators, or to renewable generation developers, when offering firm transmission rights. As a condition for federal siting, each transmission project developer must demonstrate that it has sufficient capacity to connect multiple renewable generation resources in the renewable energy zone(s) to which it connects, based on reliability criteria, land use limitations, economic considerations and the potential generation capacity of the renewable energy zones interconnected to the project. This will allow future renewable generators to connect to the transmission system without building multiple transmission lines through an area. Large transmission lines may pass through states without providing any benefit to the state. This bill requires green transmission projects that use federal siting authority to provide transmission access to load or generation in each state they pass through. If a project cannot provide interconnection to a state, that state will be eligible for additional funds through DOE grants. Sec. 405. Grants for green transmission grid project plans: This bill authorizes the DOE, in consultation with FERC, to make grants to states and planning entities to implement the planning and siting described in this bill, for transmission improvements including smart grid investments, for training for state public utility commission staff, for mitigation of landowner concerns, for habitat and wildlife conservation, for security upgrades to the transmission system, for energy storage, for reliability projects, transmission business development, and for distributed generation projects. These grants are funded through the American Recovery and Reinvestment Act of 2009, and in the future through sale of carbon allowances if a carbon allowance system is implemented. These grants are available only to states that participate in green transmission grid planning and implement green transmission grid projects in a timely fashion. Sec. 406. Cost Allocation: This bill encourages the States and participants in a green transmission plan to agree on and propose a cost allocation to FERC. If no cost allocation is filed, this bill allows FERC to determine a just and reasonable cost allocation that takes account of the widely distributed impacts of the transmission project. This bill allows FERC to allocate costs to all users, owners, and operators of the bulk power system in a region of an interconnection or throughout an interconnection. This bill provides that costs of a green transmission project initially built with extra transmission capacity to multiple renewable generators can initially be allocated with the cost allocation. As new generation projects interconnect, they will pay their share of the transmission grid project, reducing the effect on rates of the transmission provider’s customers. Sec. 407. Encouraging Clean Energy Development in Renewable Energy Zones: To ensure that transmission projects needed to integrate renewable energy resources get built in a timely manner, this bill allows federal transmitting utilities to construct projects if no privately-funded entity commits to financing them within 3 years. This bill extends bonding authority of federal transmitting utilities to finance construction of transmission. Sec. 408. Federal power marketing agencies: This bill directs federal power marketing agencies to promote renewable energy and energy efficiency, by developing wind, solar and geothermal integration programs, and directs the federal transmitting utilities to undertake renewable electricity and energy security projects. It also directs WAPA to study reregulating hydroelectric dams and allows WAPA to fund a wind-hydro or solar-hydro integration demonstration project. Sec. 409. Solar Energy Reserve Pilot Project: This bill establishes a pilot program on Federal land for commercial utility-scale solar electric energy systems on lands identified by the Secretary of Interior and the Secretary of Energy. Sec. 410. Investment incentives: To encourage investment in green transmission projects, this bill extends infrastructure investment incentives from the Energy Policy Act of 2005 to include transmission projects that integrate renewable energy resources into the transmission system. The limit on third-party financing of transmission investments in the Western Area and Southwestern Area Power Administration territories is raised to $2.5 billion. Nissan and ECOtality have announced plans to roll out a ‘fast charge’ electric car network in Arizona, capable of topping up batteries in as little as 10-15 minutes. The Japanese company has teamed up with EV charge-tech firm ECOtality and the Pima association of government’s, (representing the Tucson, Arizona region), to establish a pilot-scale network in readiness for the launch of Nissan electric cars in the US next year. As part of the deal, Nissan has agreed to supply EVs to public and private fleets across the region and publicise the benefits of zero-emission vehicles. ECOtality President and chief executive Jonathan Read used the partnership announcement to take a swipe at recharge infrastructure competitors Project Better Place, arguing that their fast charge system is cheaper and more user-friendly than Project Better Place’s battery swap model. Clck here to read New York Times Article: Obamas Prepare to Plant White House Vegetable Garden. 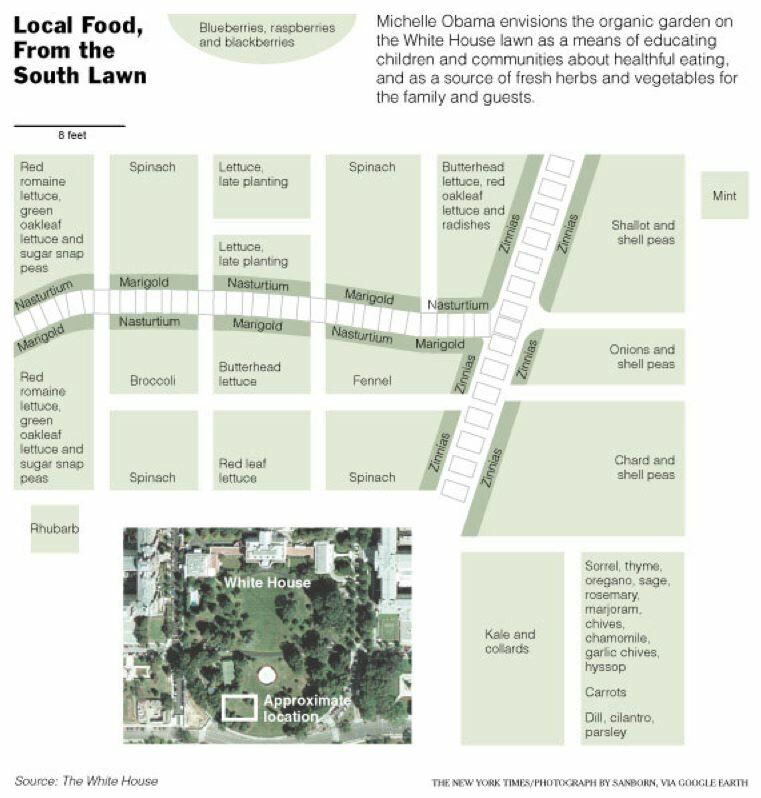 Click here to see detail of White House garden layout.